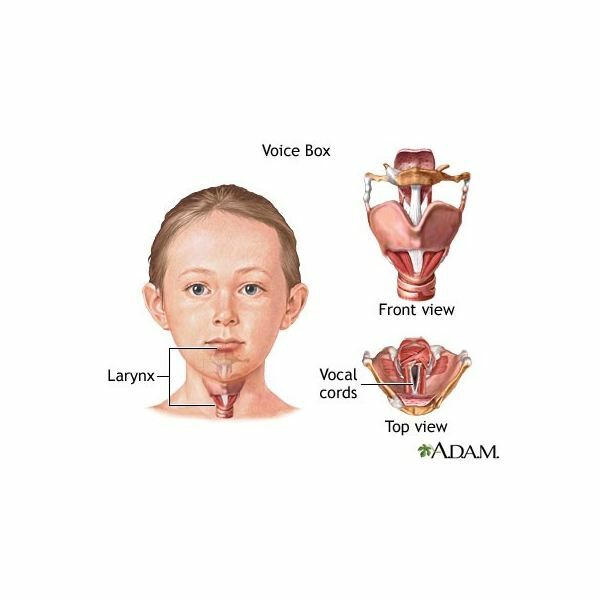 Croup is a condition, normally caused by a virus, that causes the area around the larynx (voice box) to swell. It is more common during the cold months, usually affects small children (especially 1-3 years old), and lasts about 5-6 days. pale skin or bluish tinge around the mouth (from lack of oxygen). Symptoms are often worse at night or when the child is upset or crying. Most cases of croup in children are not severe (requiring hospitalization) and can be treated at home. Mist therapy can help decrease swelling (making it easier for your child to breathe). • Run hot water from the shower with the bathroom door closed (to steam up the room) and sit in there with your child for 10 minutes. This usually provides almost immediate relief. • If a shower is not available, place a warm, wet washcloth over your child's nose and mouth without suffocating them. • Sometimes, taking your child outside in cold, steamy air for a few minutes can provide relief. • Keep a cool-mist vaporizer in your child's room to help prevent attacks. • Have your child drink plenty of fluids, including water and electrolyte replacement beverages like Pedialyte (avoid drinks that contain caffeine). • Have your child get plenty of rest and keep them as comfortable as you can. • Stay calm. When you stay calm it will help keep your child calm. • Sleep in your child's room so they can feel secure and you can be there in case they have breathing difficulties. If symptoms of croup in children are severe or they do not respond to home treatment, notify your health care provider.